Under a starry, quiet and peaceful night sky, a group of Christians earnestly awaiting the return of the Savior sing and dance to cheerful music. When they hear the joyful news “God has returned” and “God has uttered new words”, they are surprised and excited. They think: “God has returned? He has already appeared? !” With curiosity and uncertainty, one after another, they step into the journey of seeking God’s new words. In their arduous seeking, some people are questioning while others simply accept it. Some people look on without comment, while others make suggestions and search for answers in the Bible—they look but in the end it is fruitless…. Just when they become discouraged, a witness brings them a copy of the Age of Kingdom Bible, and they are deeply attracted to the words in the book. What kind of book is this really? Have they actually found the new words that God has uttered in that book? Have they welcomed the appearance of God? In a spiritual body, or in the flesh? “Be you therefore ready also: for the Son of man comes at an hour when you think not” (Luke 12:40). “For as the lightning comes out of the east, and shines even to the west; so shall also the coming of the Son of man be” (Matthew 24:27). 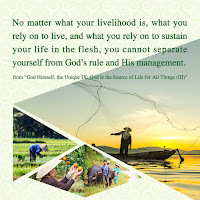 “This time, God comes to do work not in a spiritual body but in a very ordinary one. Not only is it the body of God’s second incarnation, but also the body in which God returns” (The Word Appears in the Flesh). “He that has an ear, let him hear what the Spirit said to the churches” (Revelation 3:22). Have you heard the words of the Holy Spirit to the Churches? Christ of the last days, Almighty God has uttered The Word Appears in the Flesh—it is the words of the Holy Spirit to the churches! God has appeared and brought in the new age. The gate of the kingdom has opened to mankind, and the wise virgins listen to the voice of God, follow the footsteps of the Lamb, and enter into the beautiful new heaven and earth! Please stay tuned for the musical drama of the Church of Almighty God—Every Nation Worships the Practical God! 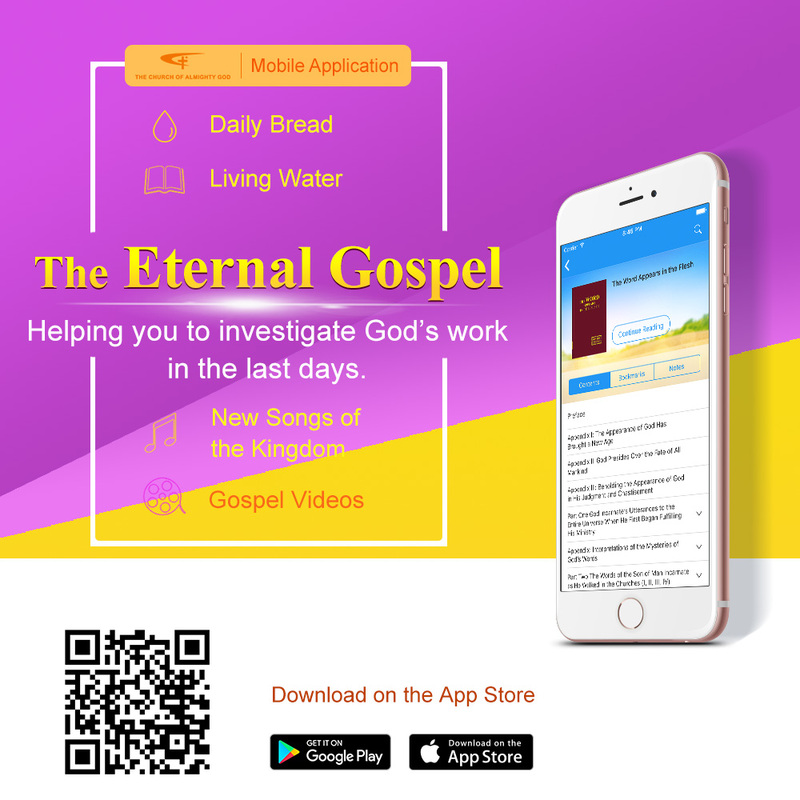 If you want to know more about Almighty God’s work in the last days, please visit the official website of the Church of Almighty God.